When you don’t live close to a coastline or a major body of water, seeing the waves when you visit is exciting. But there are times when the waves turn into churning monsters of nature that attack man-made objects like lighthouses. Those exciting huge waves are then terrifyingly ferocious. Yet some people are held spellbound by nature’s fury. And some are amazingly brave and talented photographers who capture that perfect split second to share with us. Lighthouses are found worldwide, marking dangerous coastlines and lighting the way to safe harbor. 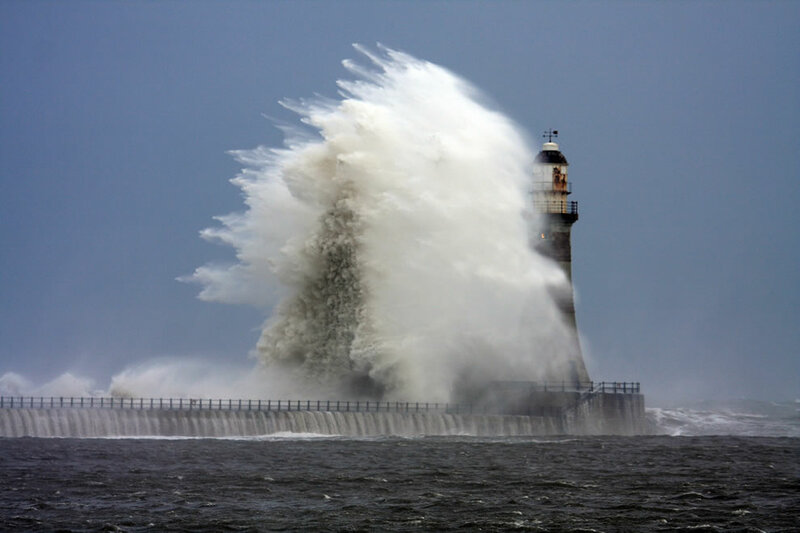 Can you imagine being inside a lighthouse while nature is doing her stormy best to chew it up and destroy it with punishing waves? In this collection of fantastic photos, it’s nature vs man-made lighthouses and landmarks. It’s a struggle; the power of the storm’s ferocious waves are attacking the architecture of man. Which do you think will win? We love these pics!